year running in this location and 12th South By all together. These guys know how to throw a gig. Ok ok, enough build up, Lost Weekend 2 will be 3 full days of rocking. This is a lot, so lets break it down by day. Thursday, March 15th: Okkervil River,Speedy Ortiz, U.S. Girls, Shopping, Ezra Furman,IDLES, Bat Fangs, Stella Donnelly, Becca Mancari, Flasher, Girl Ray, Common Holly, Corridor. 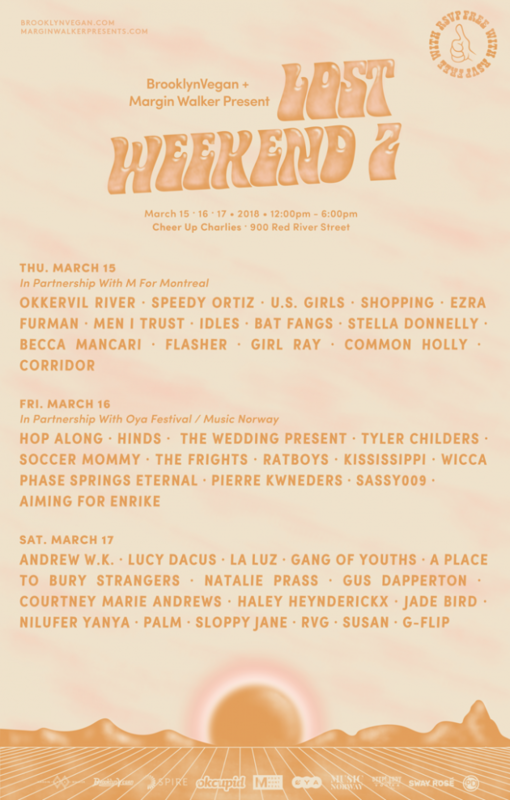 Friday, March 16th: Hop Along, Hinds, The Wedding Present, Soccer Mommy, The Frights, Ratboys, Kississippi, Wicca Phase Springs Eternal, Shabazz Palaces, Sassy 009, Aiming For Enrike. 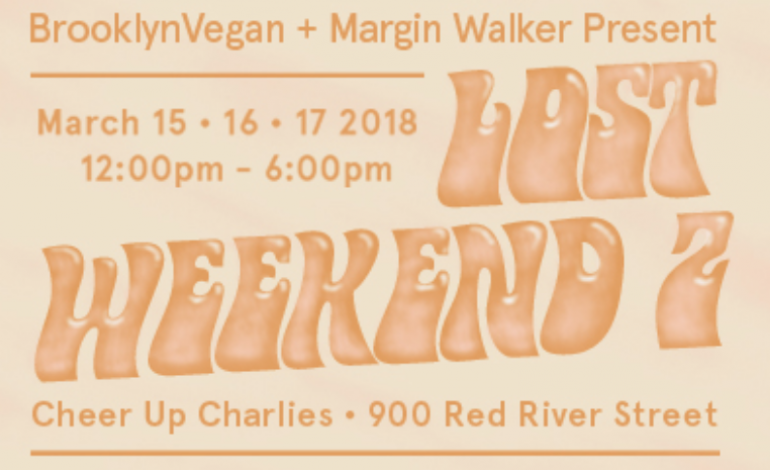 Saturday, March 17th: Andrew WK, Lucy Dacus, La Luz, Gang of Youths, A Place to Bury Strangers, Natalie Prass, Gus Dapperton, Courtney Marie Andrews,Haley Heynderickx, Jade Bird, Nilufer Yanya, Palm, RVG, Sloppy Jane, Susan, G Flip. If any of these bands caught your eye. The Brooklyn Vegan has done an excellent job of backgrounds and new music from each act on the lineup. Find your new favorite band here. For all this rad music all you have to do is RSVP here. Brooklyn Vegan is also sweeting the pot by throwing in a Spire Studio. If you are not familiar these bad little dudes, they are an at home professional level recording device. Mix and share your track without ever stepping in a studio, getting sweating palms because it costs so much to be there for even 5 minutes and then twang out not your best performance, maybe at home is better. Cheer Ups is one our local haunts and we’ll be there rocking alongside y’all. See ya there, all three days. I double dog dare ya.